Start off your visit on the 12th (Tue): tour the pleasant surroundings at Sunayama Beach, then snap pictures at Irabu Bridge, then take in the views from Kurima Bridge, and finally tour the pleasant surroundings at Yonaha Maehama Beach. Here are some ideas for day two: snap pictures at Ikema Ohashi Bridge, then make a trip to East Henna Cape, then enjoy the sand and surf at Aragusuku Beach, and finally don't miss a visit to Boraga Limestone Cave. To find reviews, maps, more things to do, and other tourist information, read our Miyakojima route tool . Kuala Lumpur, Malaysia to Miyakojima is an approximately 11-hour combination of flight and taxi. You can also do a combination of train, flight, and taxi; or do a combination of bus, flight, and taxi. The time zone difference moving from Malaysia Time (MYT) to Japan Standard Time (JST) is 1 hour. While traveling from Kuala Lumpur, expect much colder days and a bit cooler nights in Miyakojima, ranging from highs of 26°C to lows of 20°C. Wrap up your sightseeing on the 13th (Wed) early enough to ride a ferry to Iriomote-jima. Kick off your visit on the 14th (Thu): head off the coast to Iriomote Island and then get outside with Outdoor Activities. On your second day here, take in the dramatic scenery at Pinaisara Falls, then take a tour by water with Boat Tours & Water Sports, and then don't miss a visit to Heritiera Littoralis Tree of Nakama River. For photos, other places to visit, and other tourist information, you can read our Iriomote-jima itinerary planner . Ride a ferry from Miyakojima to Iriomote-jima in 4 hours. In March, plan for daily highs up to 26°C, and evening lows to 21°C. 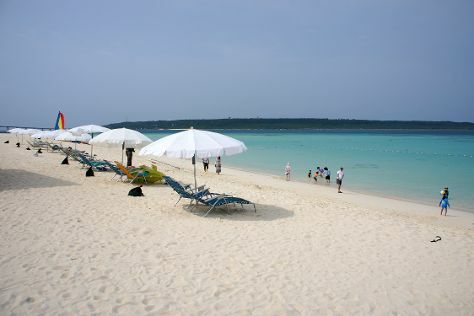 Wrap up your sightseeing on the 15th (Fri) early enough to ride a ferry to Ishigaki. On the 16th (Sat), enjoy breathtaking views from Tamatorizaki Observatory, head outdoors with Cape Hirakubozaki, and then enjoy the sand and surf at Yonehara Beach. On the 17th (Sun), you'll have a packed day of sightseeing: stroll through Banna Park, then stroll through Kabira Park, and then tour the pleasant surroundings at Kondoi Beach. To find ratings, more things to do, photos, and other tourist information, you can read our Ishigaki trip itinerary planning website . Traveling by ferry from Iriomote-jima to Ishigaki takes an hour. 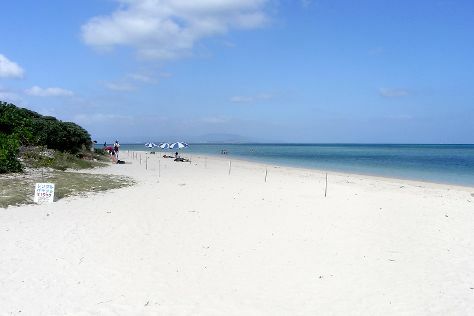 March in Ishigaki sees daily highs of 26°C and lows of 21°C at night. Finish your sightseeing early on the 17th (Sun) so you can travel to Hiroshima. You'll explore the less-touristy side of things at Mt. Misen and Itsukushima Shrine Torii. You'll find plenty of places to visit near Hiroshima: Hatsukaichi (Miyajima & Itsukushima Shrine). The adventure continues: see the interesting displays at Hiroshima Peace Memorial Museum, step into the grandiose world of Hiroshima Castle, appreciate the history behind The Cenotaph, and make a trip to Hiroshima Peace Memorial Park. To find photos, more things to do, other places to visit, and more tourist information, read our Hiroshima trip planning tool . Traveling by combination of flight and train from Ishigaki to Hiroshima takes 4.5 hours. Alternatively, you can fly; or do a combination of flight and ferry. Traveling from Ishigaki in March, you will find days in Hiroshima are little chillier (16°C), and nights are cooler (6°C). Finish up your sightseeing early on the 20th (Wed) so you can catch the train to Kyoto. Start off your visit on the 21st (Thu): contemplate the long history of Kiyomizu-dera Temple, take in the spiritual surroundings of Tofuku-ji Temple, and then take in the spiritual surroundings of Fushimi Inari-taisha Shrine. Get ready for a full day of sightseeing on the next day: take in the spiritual surroundings of Kinkaku-ji, explore the historical opulence of Nijo Castle, then contemplate in the serene atmosphere at Toji, and finally take a stroll through Gion. For ratings, maps, where to stay, and more tourist information, refer to the Kyoto trip itinerary builder . Traveling by train from Hiroshima to Kyoto takes 2 hours. Alternatively, you can drive; or do a combination of ferry, flight, and train. In March, daily temperatures in Kyoto can reach 16°C, while at night they dip to 5°C. Finish up your sightseeing early on the 22nd (Fri) so you can travel to Tokyo. Tokyo is known for historic sites, parks, shopping, museums, and nightlife. Your plan includes some of its best attractions: make a trip to Meiji Jingu Shrine, examine the collection at Edo-Tokyo Museum, admire the striking features of Tokyo Tower, and take a stroll through Odaiba. To find photos, ratings, traveler tips, and tourist information, read Tokyo trip planner. Traveling by train from Kyoto to Tokyo takes 3 hours. Alternatively, you can do a combination of bus and flight; or drive. In March, daytime highs in Tokyo are 17°C, while nighttime lows are 7°C. Wrap up your sightseeing by early afternoon on the 25th (Mon) to allow time for travel back home.